So many people crossing!, originally uploaded by * Pichu *. 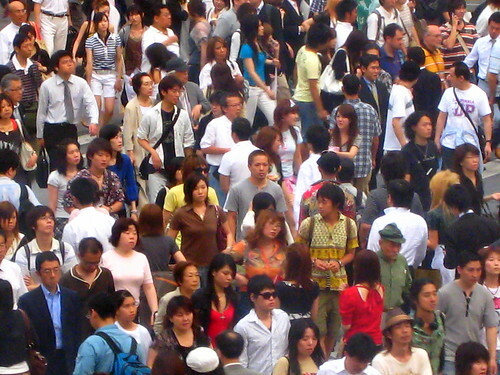 The picture above is a close up of people crossing the streets in Shibuya. Taken during summer 2007. Second to last Japanese Vlog on my youtube channel is up!! Can you believe it? What makes Shibuya so amazing? To me, Shibuya rocks because of its fashion in clothes and makeup!! The most amazing shops in Japan are here. From high-end to commercial brands and all the local craziness that makes Tokyo one of the world's fashion capitals.